What Is a CEM Platform? What are the differences between CMS and CEM solutions and how do I choose the best one? When it comes to managing content, business and organizations are presented with three basic choices: open source CMS, CEM, and full-scale CMS solutions. But what’s the difference between the three and the best way to choose? In terms of coding, it doesn’t make sense to custom hack even a simple CMS implementation anymore. The era of custom, go-it-alone, roll-your-own-CMS ended in 2005. Woe befalls the company trying to maintain their own custom legacy content management code. Today there are an endless choice of open and proprietary platforms, frameworks, and toolsets that offer massive efficiency, scale and innovation gains. Additionally, when looking for true CEM platforms, terminology can be confusing. Customer experience management can be called CEM, CX or CXM. It is also sometimes referred to as digital experience management (DXM or DX). Most open source CMS solutions on the market today are scalable, highly functional and flexible. The major players are well supported and have a huge ecosystem of solutions and starters built into them. The primary function of an open source CMS, however, is to simply manage content. Higher functions like personalization, true customer experience management, and multichannel marketing are generally not well supported. Here are a few popular open source CMS platforms we recommend. WordPress is one of the most most popular open source CMS platforms available. While its roots are as a blog platform, it is supported by thousands of plugins which give it more CMS capabilities. Popular enterprise WordPress users include The New York Times, CNN, TechCrunch, and Microsoft. Today, you can build pretty much any website with WordPress. As an open source solution driven by a network of skilled and passionate developers, WordPress has grown into a reliable, safe and well-supported platform. It’s also cost effective (starting as free), easy-to-use, and scalable for enterprise needs. Drupal is an open source content management framework written in PHP and distributed under the GNU General Public License. Since the release of Version 8 in 2015, Drupal has added many CMS functions, including architectural refinements that help ensure content control, granularity and reuse across digital channels and means of interaction. The Drupal community is very active, and it’s owners are responsive and maintain a rapid pace of development. In 2007, Drupal creator Dries Buytaert and partner Jay Batson founded Acquia, a company dedicated to providing products, services, and support for Drupal for enterprise users. Drupal has grown to become a strong open source enterprise CMS with enterprise-class scalability and security. Enterprise Drupal users include the American Association for the Advancement of Science (AAAS), United States Naval Institute, MTV, and the World Bank. DNN is an open source solution offering both free and paid editions. It has a large developer community offering thousands of add on modules and hundreds of free and paid themes. DNN offers extensive documentation covering all aspects of the system, and the popularity of DNN means there is a wealth of support available. To a large degree, DNN supports the creation management of content pages without the need for IT assistance. The software offers a selection of professionally made, reusable layouts, allowing pages to be created in just a few clicks. DNN does not have as many native marketing capabilities as their competitors, however, and provides built-in connectors to other products instead, including Marketo and MailChimp. What Is an Enterprise CMS/CEM? When managing content on a deeper and more complex scale, CMS solutions like Sitecore, Kentico and similar platforms are often the winning bet. Although they require a greater investment than an open source CMS, when considering content reuse and ROI, the cost can make sense for managing a multitude of content and customer types. One key thing to understand is that many CMS options have changed completely since the term “content management system” was applied to digital content. Most are no longer a web CMS in the traditional sense—they are instead multi-touchpoint, multi-channel, adaptive customer experience management (CEM) platforms that combine publishing with rich session tracking and targeting features. In short, the CEM moves marketers far beyond “a database for content” and into understanding and influencing individual user experiences. CEM platforms allow content to be personalized based on user origin, onsite activity, repeated visits and other anonymous behavior. This is only possible because the platform provides session data on a discrete level without a lot of custom hacking. For example, if a user comes from x geography, searches y phrase and visits z pages, the next time they come back, you can show them an xyz-related content set. Newer CEM platforms are built for structured content reuse, customized author experiences, metadata and taxonomy. While most CMS platforms manage structured content types, true CEM solutions make content reuse easy and modular. This makes building content APIs, syndicating content and getting single-sourced content out to various publication destinations easier, including enterprise-managed domains and apps. With so many marketing technology vendors, integration matters. APIs make it far more straightforward to integrate with martech, but also along other data sources, including DAM, CRM, ERP or LMS systems. When you want to align content among many systems, CEM platforms provide all the handles and levers. Here are a few of the most popular CMS/CEM platforms on the market that we recommend. Few CMS providers match Sitecore’s understanding of the latest digital marketing priorities, practices and technologies. Sitecore continually incorporate support for leading practices, including customer journeys, cross-channel marketing, multivariate testing, and continuous experiences. Sitecore’s cloud capabilities lag behind those of other providers, however. This is partly due to its dependency on Microsoft Azure for infrastructure. It is also attributable to a narrow vision for merely a series of cloud deployment options. Sitecore Experience Platform is still a strong fit for organizations that need a feature-rich, enterprise-scale web CMS, and their commitment to PaaS makes it attractive to buyers focused on faster time-to-value. Learn more about [A]'s Sitecore services and support here. Kentico is a CMS solutions that offers excellent value for money, with a comprehensive range of capabilities, a relatively low entry cost, and a focus on simplicity. For example, content contributors are not required to navigate functionality unsuited to their role. This approach is increasingly sought after by midsize and large organizations. Kentico’s focus on external marketing scenarios, however, may make it unsuitable for organizations looking to use WCM for other purposes, such as in a broad digital strategy. Large organizations should perform additional due diligence to ensure fitness for purpose and the availability of partner resources for the full program of work. Learn more about [A]'s Kentico servics and support here. Ingeniux offers a set of products that combine to provide web experience management, content management and social collaboration. Ingeniux focuses on intelligent content using a rich XML and JSON content model, NoSQL content database, search application and service-oriented content API. The architecture lends itself to sites with product catalogs or that need full content structures and types, content reuse, multi-site, channel, and language publishing. It’s also a good choice for industries needing customer-facing web applications, including insurance, travel, healthcare, and commerce. Sitefinity is a content management and marketing analytics platform designed for today’s rapidly changing digital marketplace. It provides developers and IT teams with the tools they need to support enterprise-level digital marketing, optimizing the customer journey with personalized experiences across different technologies and devices. Sitefinity comes with many built-in widgets and UI components that can speed up development time. They have a very customizable system architecture that supports multi-site architecture and web farms. While Sitefinity includes a basic workflow that can be managed within the administration interface, advanced workflows cannot be created without developer resources. Umbraco is an open source platform with no licensing fees, though there are fees tied to support and some add-ons. Umbraco has a large developer community that releases many free and open source add-ons ranging from analytics, themes, social connectors, and more. Since merging with Ektron, Episerver has done a good job supporting customers who want to remain on their existing products, and smoothing migration to their Digital Experience Cloud platform for those looking for something new. Episerver's focus on offering one tool for marketers may seem dated to decision makers whose digital strategy involves more advanced approaches to digital marketing. However, the platform remains a well-rounded, midsize enterprise solution, especially for those clients with a European focus or early adopters looking to boost North American expansion. With a headless CMS, there are no page templates or themes. You just get a backend that stores and delivers the content and a web app for editors. That's it. Here are a few of the most popular headless CMS platforms on the market that we recommend. Contentlful is a platform that makes all created content accessible via APIs, enabling users to deploy and display their content anywhere and for any purpose. This makes it well-suited for a variety of use cases, from in-store touch screens to mobile lifestyle apps. Contentful has become popular as an affordable and well-integrated content management solution. Instead of providing pre-defined templates, Contentful focuses on delivering the content, leaving the user to present it in any way they like. Contentful requires prior content modeling, however, and its search-based content management can be off-putting to users accustomed to tree-based structures. Kentico Cloud represents is a cloud-first headless CMS platform that allows companies to focus on creating great digital experiences for their clients without having to tackle the technical challenges of running a CMS. Users can manage structured content for multi-channel delivery, use the API-first CMS to display that content on any website or device and track visitor interactions to personalize the digital experience. Kentico Cloud offers a centralized content hub where you can produce all your structured content in one place. It provides customizable content types, taxonomy, site map, workflow, versioning, and comments. Once your content is ready, you can either export it to your existing CMS or use the content delivery API to publish it directly on a website or mobile application. Learn more about the benefits of a Headless CMS here. Here are a few other CMS platforms on the market that we recommend that don’t fit neatly into open source or enterprise solutions. Adobe Experience Manager (AEM) is a web content management system that allows organizations to deliver personalized digital experience to audience across multiple channels. Key Components of AEM include: AEM Assets, Web Content Management (WCM), Multi Site Manager (MSM), and AEM Mobile. AEM offers tight integration with Adobe Marketing Cloud (or third party marketing tools) to enhance user experience and to reach target audience better. AEM's cloud integration means developers still must set all of the pages and components with the right code, but marketers can then take it from there. Formerly Hippo, BloomReach is a commercially supported open source solution for midsize enterprise organizations looking for a web CMS to underpin their broader digital experience platform. The platform’s architecture is founded on a separation of concerns which ensures the integrity of content across channels, touchpoints and devices. This object-oriented architecture also lends itself to serving content to external applications, including mobile apps and environments, and to managing content in many languages. BloomReach’s open source software community is surpassed by some communities that are fueling the innovation and expansion of platforms offered by other vendors. Some customers report a steep learning curve at the start of their efforts, and would prefer more packaged components for integration. Oracle WebCenter Sites offer comprehensive support for high demand applications in the WCM market, including as digital marketing effectiveness and delivering contextualized experiences. Oracle WebCenter Sites appeals to IT organizations already committed to Oracle software. Organizations looking for more heterogeneous application environments should take take the time to explore whether Oracle WebCenter supports their levels and types of interoperability. Some clients really do need a traditional CMS. For those who need to do more than simply manage content, however, a CEM is a better choice. If a client simply needs a true database for content (input/output of content, management of publishing workflow, multilingual, core content management), WordPress is a good option and scales well, as does Drupal and other open source CMS platforms we mentioned. Most offer enterprise infrastructure and support to go as big as needed, pushing content to massive audiences, but they are still CMS approaches to publishing. True CEM solutions offer a different option for marketers who need a unified way to organize deep, discrete data and customer interactions across channels. CEM platforms are being used far beyond marketing, with more parts of the enterprise using corporate CEM as the interaction point for their digital presence. HR, support, operations, partner relations and intranets and are all aligning towards delivery of content experiences via CEM. How they do that is another story for another day, but it does involve a lot of orchestration. The decision between using an open source CMS solution like WordPress as a substitute for full-scale CMS and CEM platforms depends on whether the goal is to simply manage content or deliver rich, complex customer experiences. Starting from that question is the key. To better understand the breadth and depth of individual platforms look to the Gartner Magic Quadrant and Forrester reports and rankings for both open source and enterprise content management systems. 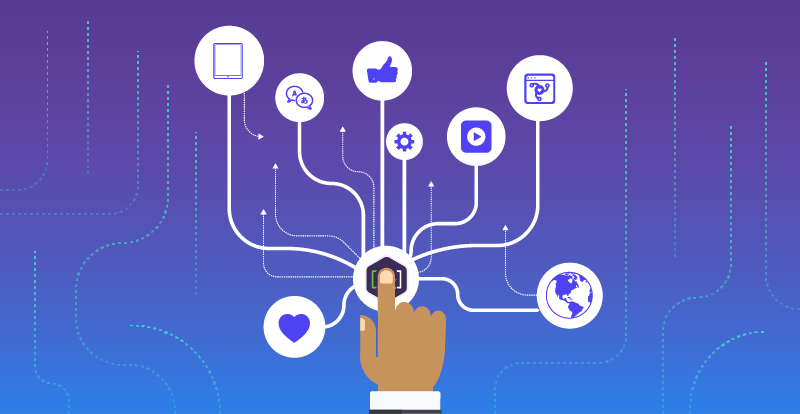 To learn more about how marketing automation platforms deliver exceptional customer experience read The Right Tools for Customer Experience Management. [A]Ⓡ is the Content Intelligence Service. In partnership with clients, we create all aspects of a content intelligence system and unify the people, processes, and tools needed to enable content intelligence and maximize content-ROI. Contact [A] today to get started.